New Zealand (5): The best golf in New Zealand is expensive with green fees topping out over $200US a round. Fortunately for golf travelers there are also many reasonably priced courses around the country. 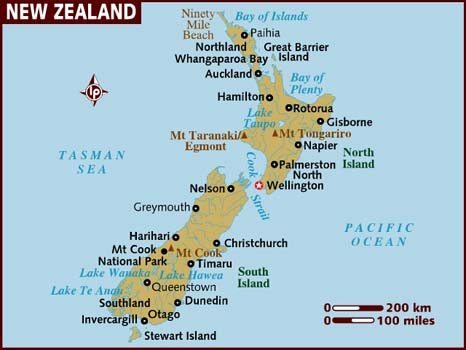 Hotels, food, and alcoholic beverages are expensive, mostly due to the strength of the NZ dollar and getting to New Zealand is a costly venture in itself. These costs all add to making a New Zealand an expensive destination for a golf trip. Thailand (8): Green fees at Thailand golf courses have gone up in recent years with the costs to play at the courses in highest demand like Siam Country Club, Blue Canyon Country Club, and Red Mountain Golf Club around $200US. On the other hand, hotels, transportation, food and drink, and entertainment are reasonably priced which make overall golf trip costs are a good value-for-money. New Zealand (8.00): New Zealand is an excellent golf destination with great golf throughout the country. Costs are certainly Hugh, but I would recommend all golfers put New Zealand on their bucket lists of places to visit, at least once. Thailand (8.70): Thailand and New Zealand are both great, but different golf destinations. If you want the best golf in the world, try New Zealand. If you want unmatched service and fun, try Thailand. The choice is yours!